Medipedia will release a dedicated MEP token to be used for payment purposes and exchange of services within the Medipedia platform. 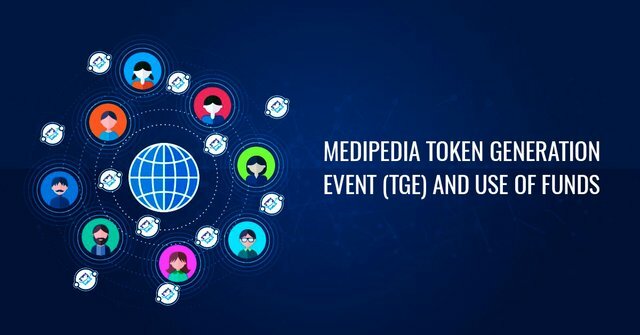 The Medipedia (MEP) token will be provided to participants who purchase tokens during the sale events. The generation and release of the token are aimed at providing the needed support to the development of the Medipedia platform and to ensure smooth transactions and processing of payments within the system in order to create a medical service ecosystem based on the EOS. 50% of the total supply will go to TGE participants and supporters of the projects. 20% of the total generated tokens will be reserved for the Medipedia founding team. 12% of the tokens will be used for the development of business and in the Bounty program of Medipedia. 8% of the total tokens will be used in the R&D of the Medipedia platform. The remaining 10% tokens will be given to Medipedia advisors and early investors of the project. So, here’s how the token generation and distribution will go. More details about the same and the sale of MEP tokens will be regularly updated on the company’s official media channels mentioned below. 20% of the ICO funds will be spent on Business Development and building the platform Partnership. 30% of the funds will be dedicated to the Marketing and Promotion of the platform. 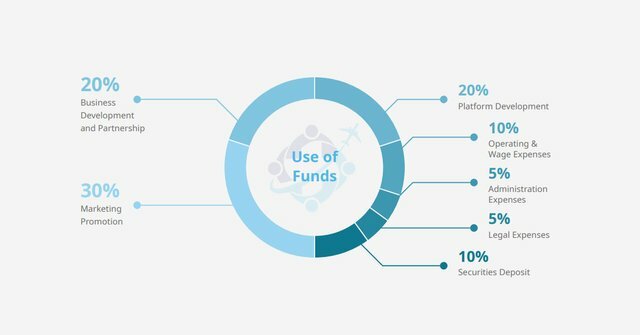 20% of the total funds raised will be invested in the Development of the Platform. 10% of the amount will be released for Operating & Wage Expenses (Salaries) of the project. 10% will be Deposited as Securities. 5% of the total ICO funds will be used to cover Administration Fees and Expenses, while the remaining 5% will cover Legal Expenses of the Medipedia project. As you can see, the generation and distribution of the MEP tokens as well as the use of funds have been made as transparent as possible. If you still have doubts, feel free to reach the Medipedia team with your query. Do invest now in the Medipedia ICO to secure your investments.